The poorer health of Australia's Aboriginal and Torres Strait Islander peoples when compared to the non-Indigenous population is no secret – and something can be done about it. Since 2006, Australia's peak Indigenous and non-Indigenous health bodies, NGOs and human rights organisations have worked together to achieve health and life expectation equality for Australia's Aboriginal and Torres Strait Islander peoples. This is known as the Close the Gap Campaign. The campaign's goal is to close the health and life expectancy gap between Aboriginal and Torres Strait Islander peoples and non-Indigenous Australians within a generation. The campaign is built on evidence that shows that significant improvements in the health status of Aboriginal and Torres Strait Islander peoples can be achieved within short time frames. Closing the gap in health equality between Aboriginal and Torres Strait Islander people and other Australians is an agreed national priority. The Campaign continues to grow each year with 220,000 pledges having been made from across the Australian community, committing to seeing the health outcomes gap close in this generation – by 2030. 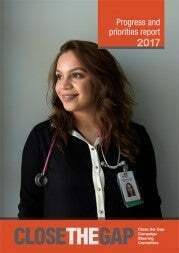 Australia’s peak Aboriginal and Torres Strait Islander and non-Indigenous health bodies, health professional bodies and human rights organisations operate the Close the Gap Campaign. The Campaign’s goal is to raise the health and life expectancy of Aboriginal and Torres Strait Islander people to that of the non-Indigenous population within a generation: to close the gap by 2030. It aims to do this through the implementation of a human rights-based approach set out in the Aboriginal and Torres Strait Islander Social Justice Commissioner’s Social Justice Report 2005. The Close the Gap Campaign Steering Committee first met in March 2006. Our patrons, Catherine Freeman OAM and lan Thorpe OAM, launched the Campaign in April 2007. To date, almost 200,000 Australians have formally pledged their support. The Close the Gap Campaign is a growing national movement. In 2007 the first National Close the Gap Day was held. It involved five large State events and more than 300 community events. National Close the Gap Day has become an annual event since 2009. Australians across every state and territory participate in this event. Health services, schools, businesses, hospitals, government departments, ambulance services, non-government organisations and others hold events to raise awareness and show support for the Campaign and its goals. Reflecting the importance of the Campaign to nation, it has become the largest and highest profile Aboriginal and Torres Strait Islander health event in the country. We aim to close the Aboriginal and Torres Strait Islander health gap through the implementation of a human rights based approach set out in the Aboriginal and Torres Strait Islander Commissioner’s Social Justice Report 2005. This includes the creation of a generational Aboriginal and Torres Strait Islander health equality plan with ambitious yet realistic targets supported by a partnership between Aboriginal and Torres Strait Islander peoples, their representatives and Australian governments. The campaign’s approach is supported by Australian governments. In 2007 the Council of Australian Governments (COAG) set measurable targets to track and assess developments in the health and wellbeing of Aboriginal and Torres Strait Islanders. These targets include achieving Aboriginal and Torres Strait Islander health equality within a generation and halving the mortality rate gap for children under five years old within a decade. In March 2008, former Prime Minister Rudd and the Opposition Leader signed the Close the Gap Statement of Intent at the Close the Gap Campaign’s National Indigenous Health Equality Summit. The Statement of Intent has since been signed by almost all State and Territory governments and oppositions. The Close the Gap Statement of Intent is the touchstone of the campaign, listing as commitments the main elements of the campaign’s approach to achieving Aboriginal and Torres Strait Islander health equality. The Close the Gap Campaign continues to work with Australian governments to secure the development of these two vital elements in any overall effort to achieve Aboriginal and Torres Strait Islander health equality. The Close the Gap Campaign has also provided significant impetus for the seven ‘closing the gap’ National Partnership Agreements (NPA) agreed since November 2008. These have brought with them approximately $5bn in additional resources, including the $1.6bn attached to the NPA on Closing the Gap in Indigenous Health Outcomes. In 2009 former Prime Minister Rudd committed to making an annual report to Parliament on progress on closing the gap. 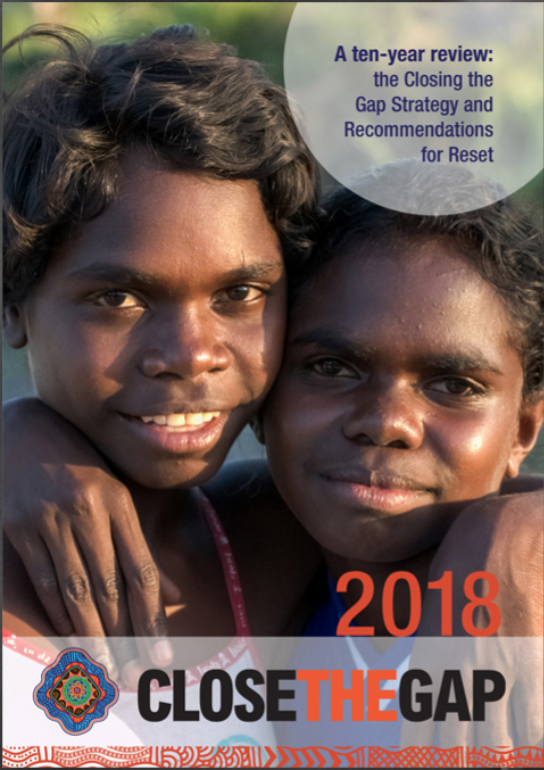 Every year, the Close the Gap Steering Committee publishes a report that details the Australian Government's progress in closing the gap, including against its implementation of the Statement of Intent commitments. The poor health of Aboriginal and Torres Strait Islander peoples is no secret – and something can be done about it. Since 2006, Australia’s peak Indigenous and non- Indigenous health bodies, NGOs and human rights organisations have worked together to secure the support of Australian governments for a human rights based approach to achieving health and life expectation equality for Australia’s Aboriginal and Torres Strait Islander peoples. This is known as the Close the Gap Campaign. The Summit was the first and most important national event hosted by the campaign. The Close the Gap National Indigenous Health Equality Targets, published in June 2008, was the main outcome of the workshop itself. The targets were developed to support the achievement of Aboriginal and Torres Strait Islander health equality over many areas. This Summit report contains the targets and a record of the Summit proceedings, including photographs of the event. The workshop’s focus was on partnership in the context of achieving Aboriginal and Torres Strait Islander health equality. The workshop’s focus was on planning in the context of achieving Aboriginal and Torres Strait Islander health equality. First published in the Aboriginal and Torres Strait Islander Social Justice Commissioner’s Social Justice Report 2005, this sets out the campaign’s human rights based approach to achieving Aboriginal and Torres Strait Islander health equality in detail. The Close the Gap campaign has achieved a lot amount since its launch in 2006, but we need continued support from all corners of the Australian community to make it a success. Get involved and help consign Aboriginal and Torres Strait Islander health inequality to the history books. Last year, more than 150,000 people took part in 1500+ separate National Close the Gap Day events across the country. Events ranged from workplace morning teas, to sports days, school events and public events in hospitals and offices around the country — anyone can take part and make a difference.